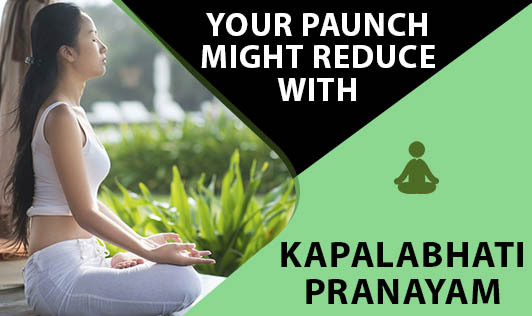 Kapalabhati is one of the pranayam techniques which involves an active and forceful exhalation, with a soft inhalation. The abdomen and chest are actively used. It is said to clear the lungs & nasal passages thereby improving blood circulation and increasing oxygen uptake. It tones up abdominal muscles. It's also a great stress buster. A yoga practitioner is able to practice this pranayama better than a person who is not yet initiated into yoga. If you wish to start Kapalabhati, get your blood pressure checked, learn the right technique from an expert and begin. Please note that it's contraindicated in pregnancy, during menstruation, high blood pressure and surgery. Don't be surprised if your paunch starts melting!